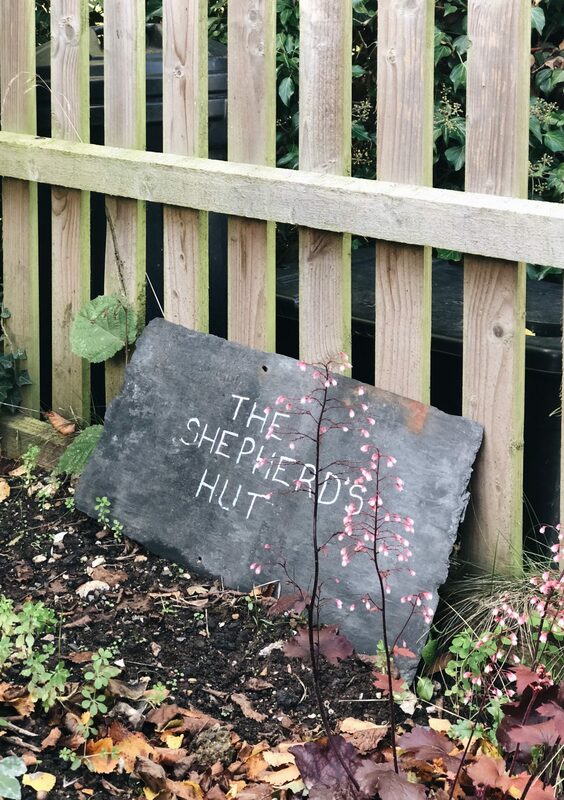 As you may have seen over on my Instagram stories, I went to Salisbury the other weekend for a little retreat as a birthday present for the boyfriend. Granted his birthday was 2 weeks before this, but alas it’s been a busy few weeks. However a very nice end to a busy wave. And, although I didn’t set out to write anything on it nor did I take my camera. I thought I’d share snippets of our trip accompanied by some Iphone photos as it was a lovely weekend. And why we all need a completely off-grid retreat every now and then. Even if it’s for a day or two. We’ve both really wanted to stay in a more ‘unique’ location for a while. 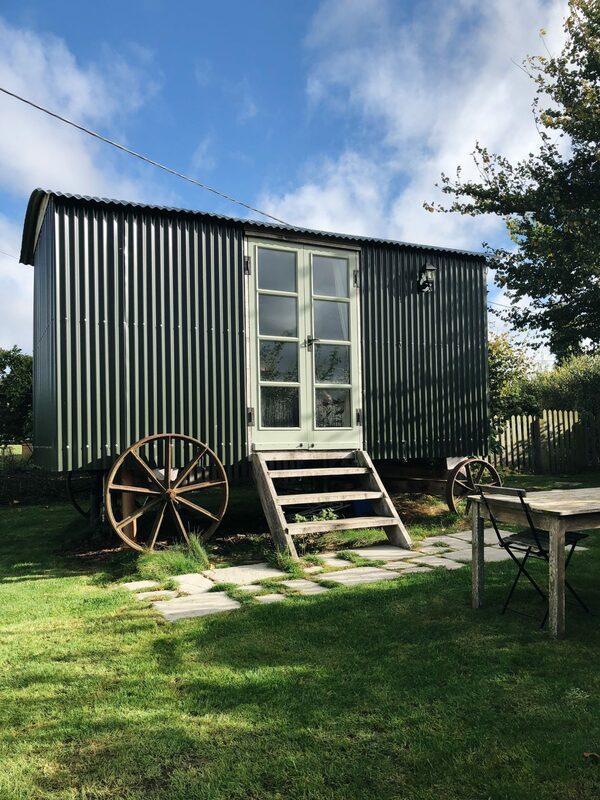 So when scrolling through AirBnB and this little shepherds hut popped up, I had a lightbulb moment. We both love the countryside, and Salisbury isn’t too far from us. However far away enough to be a good retreat location. And the Wiltshire countryside is gorgeous. 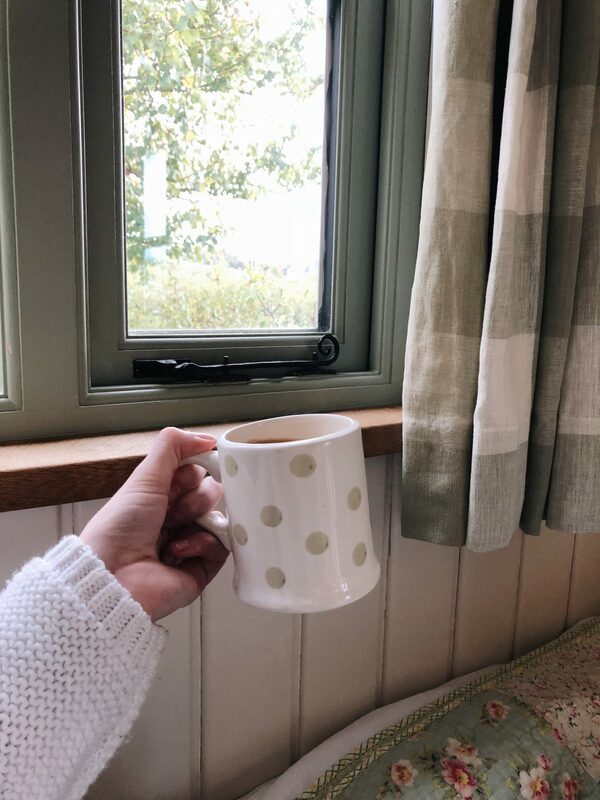 Especially from the comfort of a duvet burrito, cup of tea in hand, looking out of the glass doors of a cosy shepherds hut. No phone bleeping every five minutes telling me who tweeted what as there wasn’t much signal. Bliss. 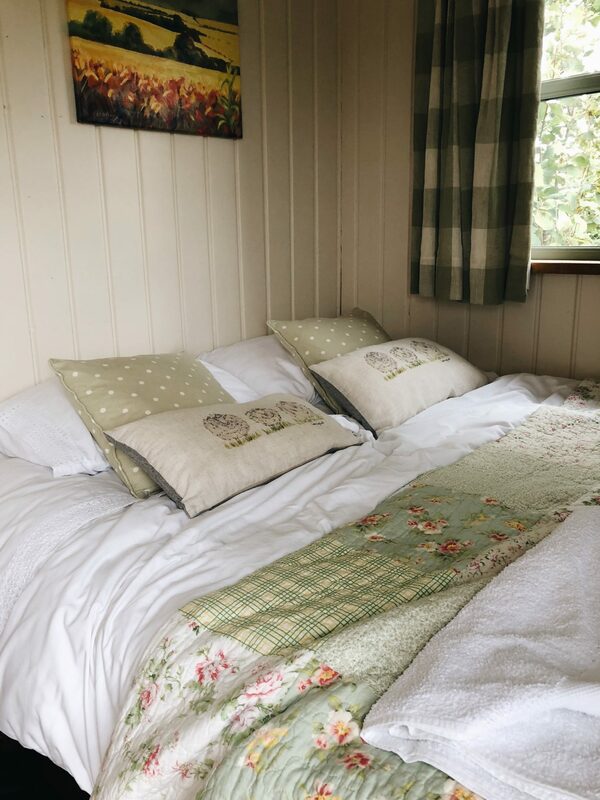 The hut was decked out with a cosy bed, kitchenette and shower room. All you need to get away from it all. Our host even baked a loaf of bread just for us – it definitely wasn’t hard to fall in love with this place. Outside was a table and chairs and a barbecue, which would’ve been perfect if we didn’t go on a 5 degree, rainy weekend. We were only there for a day really, and it was made clear from booking the hut that it was a retreat, somewhere to get away. There was no wifi, TV, not much signal. So you could really enjoy the countryside and each other’s company. Granted, we did download some Netflix to watch to wind down. But that’s just for a little evening entertainment. Sidenote: The Haunting of Hill House is a winner. We did however explore the countryside. Even though we live in the countryside. But you can’t get bored of the countryside. Right? 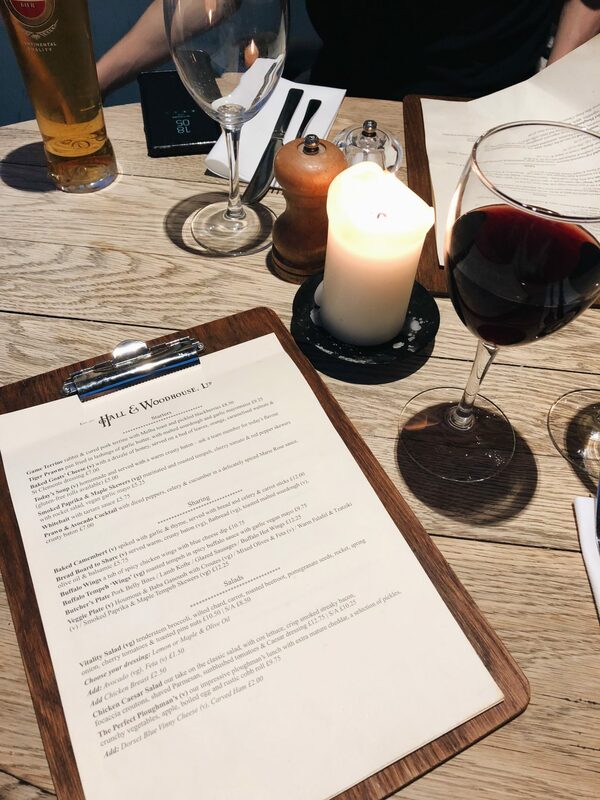 We aren’t big cookers so on our little evening walk we found a gorgeous little pub. And a countryside retreat isn’t complete without a trip to the pub. Also, saying ‘pub’ to me is like saying ‘walkies’ to a dog. So we stopped for a bit of dinner and a few drinks, which is always lovely. Before retreating back to our AirBnB. 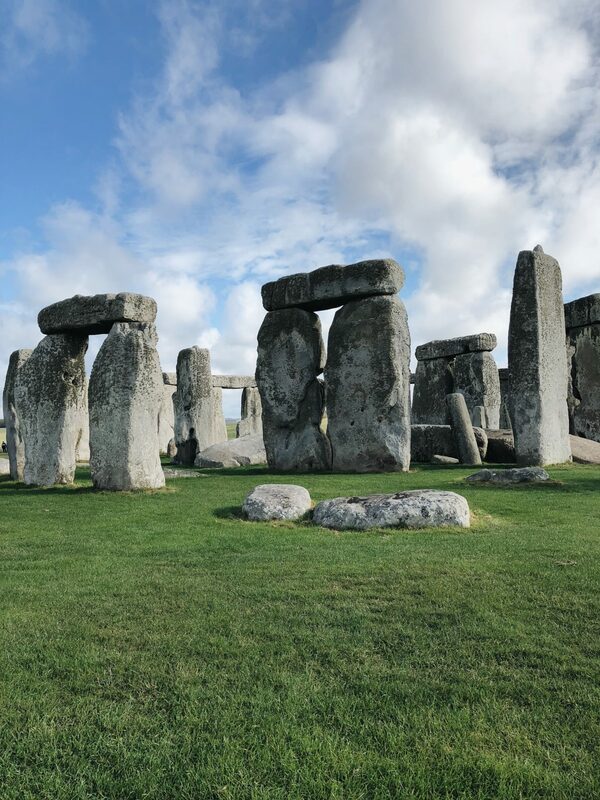 When booking this trip I also knew my boyfriend had wanted to visit Stonehenge for a while. So it was the perfect opportunity. So we also spent a morning over at Stonehenge which, even though was windy, was great. It’s one of those places you just have to go see in your life. I love travelling and going places. Even if its for a weekend. But when I go away I always find myself digging through the travel blogs for ideas. And I end up having a need to cram as much as I can within the day. And honestly, it’s exhausting. So it was lovely to just turn off for a weekend and get away. As I mentioned I wasn’t going to write a post on it, as I just wanted to enjoy the weekend. However I feel like it’s important to say we all need a little retreat now and then. A ‘do not disturb’ on life. And it gives you a chance to press the refresh button on life. 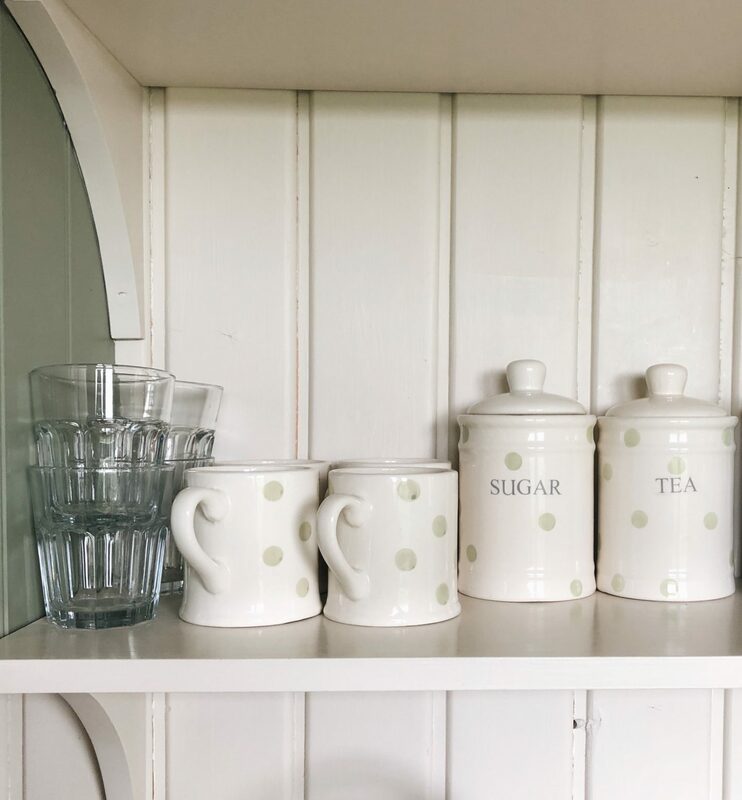 Granted we don’t always need to completely recluse ourselves to have a detox. But it’s a good opportunity to enjoy the weekend, and I think in the hustle and bustle of everything, we all need a moment to ourselves. This looks so cozy and like a perfect getaway! What a wonderful weekend where you got to spend time with yourself and your boyfriend. 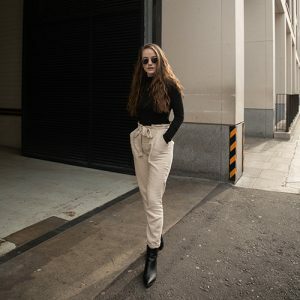 Gorgeous photos as always! omg this looks like the perfect place to go, so quaint! glad you had a lovely time! lovely pics! I couldn’t agree more. Finding the balace between getting things done and working hard to relaxing and switching off. I think nowdays we can get so wrapped up in being busy all the time that it can run us into the ground and really affect us as people. This looks lovely, I like the fact of not having wifi and you defaintly have to have a pub lunch on a trip like this. Such a great post Emily, the hut looks amazing and I would love to visit something similar one day soon. I live in the countryside so it’ll always be part of my blood so an adventure to another beautiful part of nature is well needed for me too. And it’s so true that we need time to wind down without the stresses of social media and work so we can have a really positive emotional well being. These pictures just look gorgeous and I’m glad you enjoyed it! 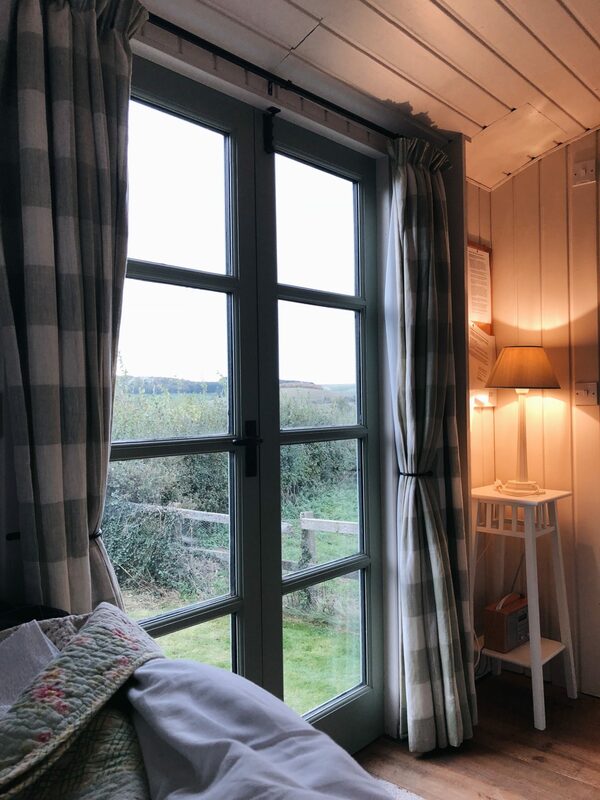 This looks so lovely, I’ve always wanted to do a small retreat in a lil cabin like this – such a cute idea! Also lovely to turn off every now and then, maybe I’ll have to look into doing a small break in one of these! Oh this sounds SO cute! Definitely need to book something like this with my boyf! 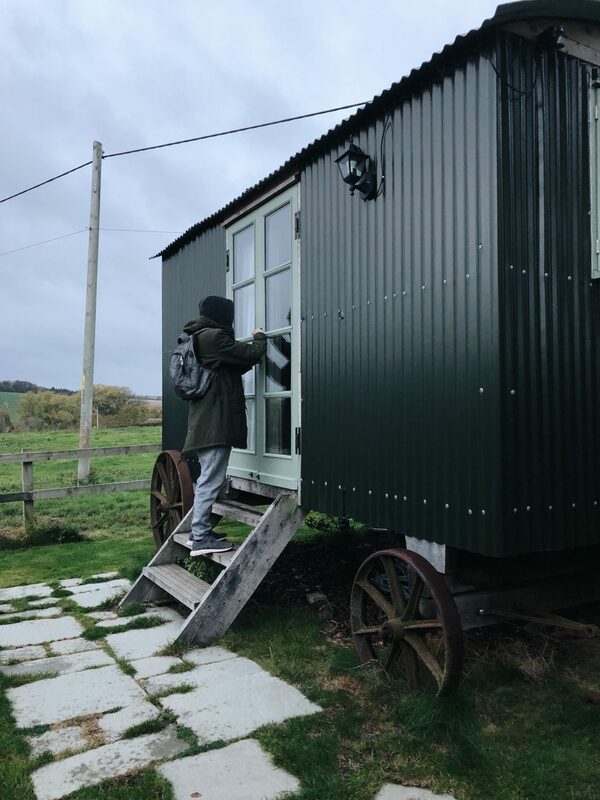 If given a chance I would spend several days in that hut..
theres nothing I love more than a weekend away with my boyfriend. the hut looks so cute and it seems like you had the best time.